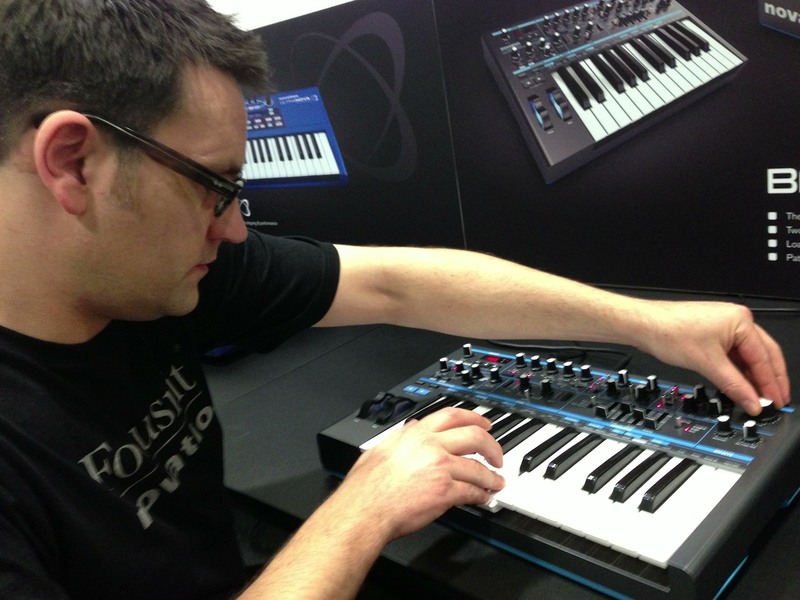 Novation’s BassStation II, a US$500 street all-analog monosynth, is already big news. 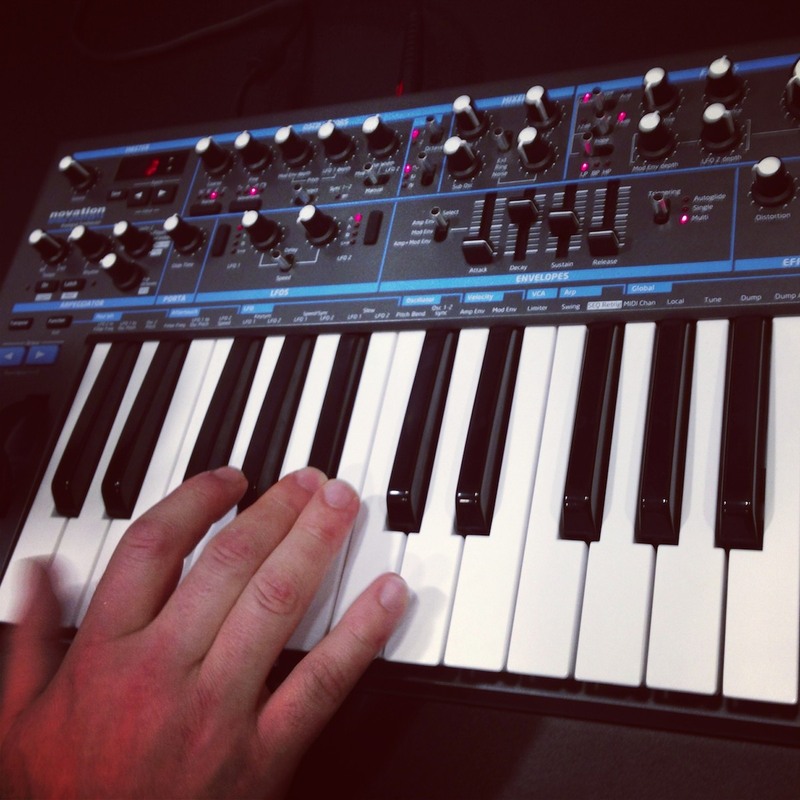 If Korg is bringing back the late 70s/early 80s sound in an analog keyboard, Novation is giving us the early 90s. 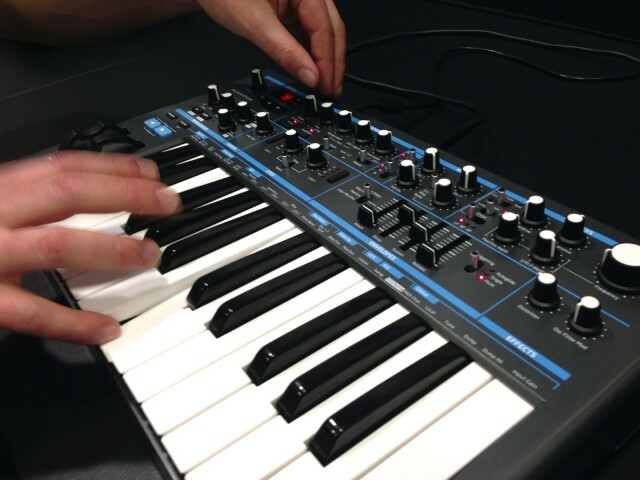 The BassStation II so far shows some serious promise, something that should work out to be a nice follow-up to the original. However, the two prototypes at Musikmesse were also really prototypes. Firmware is still unfinished, and it shows. Some features simply weren’t working at all, some caused unexpected behavior, and some knob ranges seemed they might still be tuned. Now that I’m personally involved with the development process of a hardware synth, I can tell you this stuff is pretty much part of the process – halfway through that process, not everything works. But the analog innards of the BassStation II seem to be well along, and so the character of the synth comes through. The layout and controls are very much in keeping with the original, and feel solid. The case is a more muted gray, and not as loud as some recent Novation outings, though it still in this non-final design has a sky-blue plastic base. We’ll see how that evolves in the finished product. 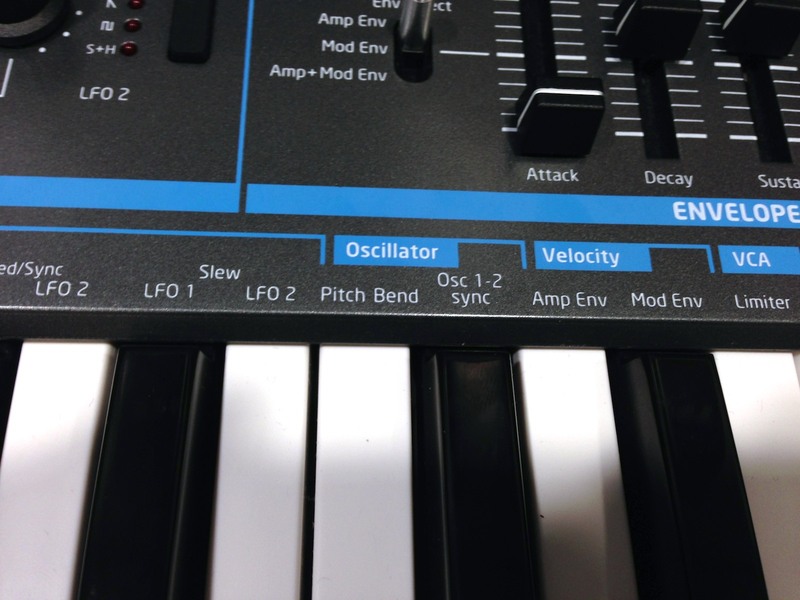 The next image to me sums up a few of the cooler features on the BassStation II: LFO slew, hard oscillator sync (producing a lot of the odder sounds you hear in our samples), and velocity mapping are very nice, indeed. I love some of the untamed sounds of the original, so seeing a new take on that design is welcome. We’ll be eagerly following its development.